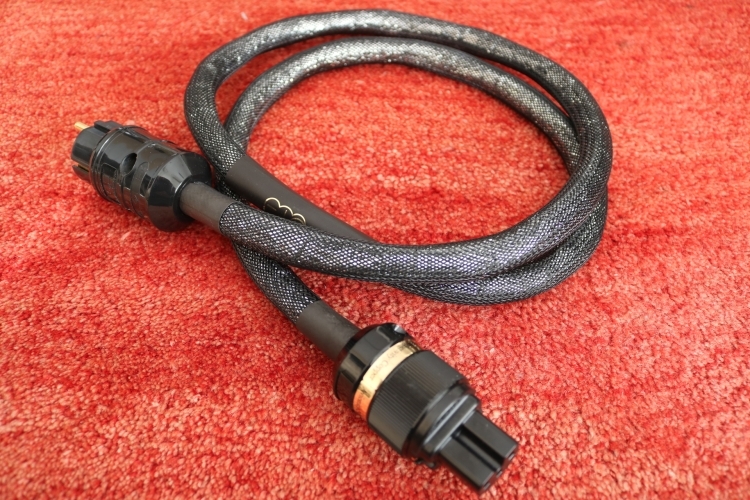 As mentioned in the Ganymede XLR interlink review, in addition to the Callisto USB cable, there is one more Final Touch Audio cable that I currently have under review: the Elara power cable. 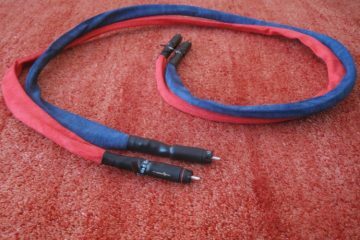 I’ve separated these cables into separate reviews not only because they are so different in functionality but also because the power cable deviates in character significantly and is suspected to require a lot of break-in time. 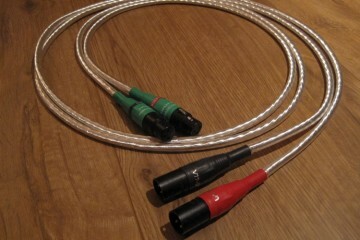 As with the other Final Touch Audio cables, the Elara power cable is not simply made from stock materials but rather the result of careful material selection and a bespoke geometry, developed by Zoran, who, as I am told by Goran (the Switzerland-based distributor), is particularly proud of this cable. The Elara is intended to be compatible with big monster amps as well as minimal wattage source components and indeed, during my tests, it proved to work well with both. 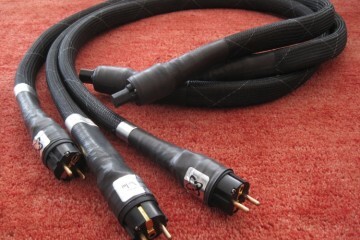 The cable consists of OFC copper conductors in a proprietary geometry with a bespoke foil shield, using IeGO IEC and Hifi-Tuning schuko gold-plated connectors, selected by ear as well as keeping the cost/performance ratio in mind. Zoran experimented with Furutech/Oyaide which brought some improvement but significantly deteriorated the cost/performance ratio and so he decided to use the aforementioned ones. 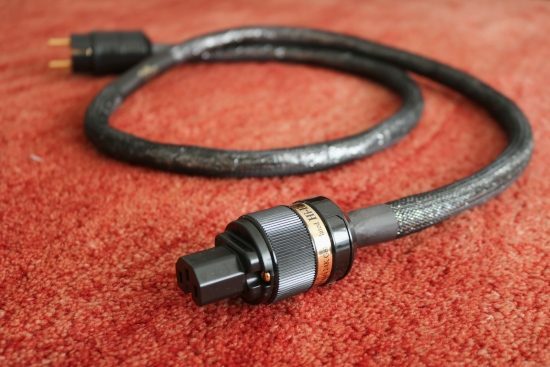 From personal experience, I know that these connectors are absolutely nothing to sneeze at and particularly the IeGOs have been a long-standing personal favorite. For a change, I decided to start with the secondary setup, currently consisting of the Ayon Stealth DAC and tube preamp, NuPrime ST10 class D power amp, and Xavian Perla Esclusiva speakers. The source in this system is the Antipodes EX, connected to the Stealth DAC using a CAD USB cable. 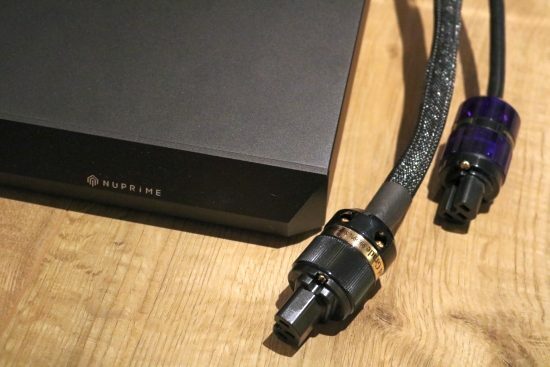 Although I usually swap power cables mainly on source components, this time I started with the NuPrime amp. 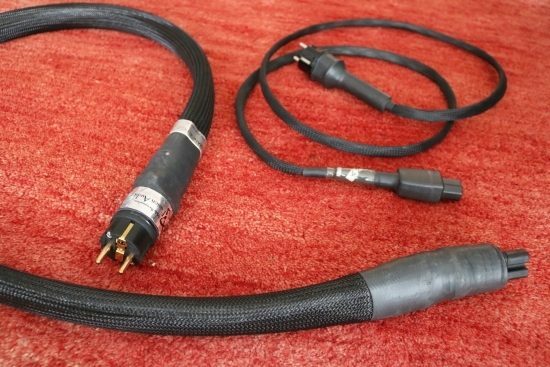 Although some people believe that power amps, switching ones in particular, are less susceptible to power cable changes as some other components, I could easily hear the difference between the Cardas Clear Beyond, Furutech FP-TCS31, and a Belden 19364 cable. 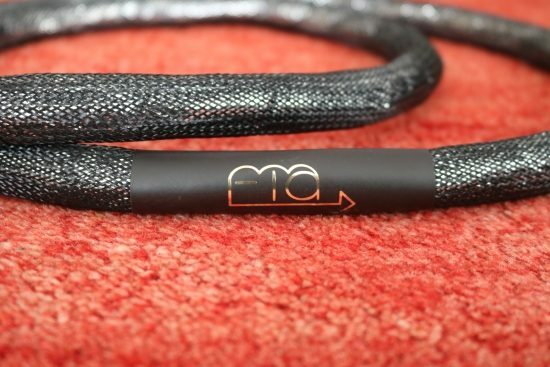 Normally connected with the latter, the Final Touch Audio Elara cable made for an instantly noticeable change and it did not sound anything like what I know the IeGO and Hifi-Tuning connectors to sound like. 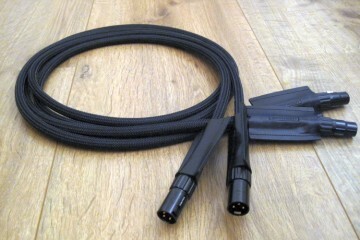 Normally sonorous and a little dark with the cables that I tried them with, the Ganymede, however, is anything but dark. With zero hours on its imaginary clock, the Elara was a lot tighter, clearer, more open and more articulate, as well as much more refined. The changes were evident across the board: the bass was more articulate and tuneful and easier to follow but not thin or lightweight. The midrange was more textured (less glossed-over) and more focused, and the treble was more detailed as well as more delicate and airy. 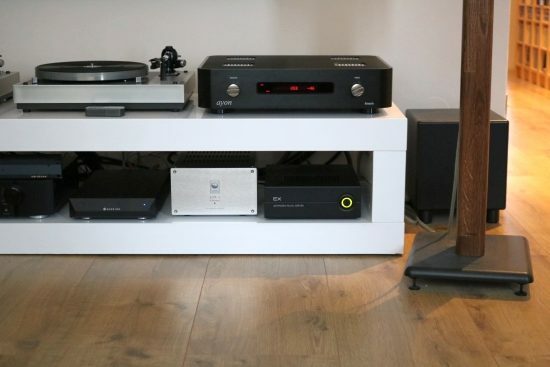 The overall feeling was of a much cleaner sound, almost as if I had upgraded the amp to a higher model up in the range with more precision and a higher damping factor. Although very tight and cooler in overall balance than the Belden, there was no hardness, glare or edge. Switching to Cardas Clear Beyond after this provided a day and night contrast: slower in pacing, more veiled, less articulate, and less dynamic, this was not a subtle difference at all. 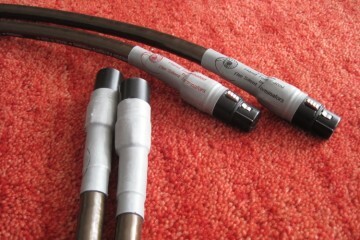 However, the cable was so extremely tightly controlled and so very crisp that it was a bit too much for me. Technically it was very impressive but I couldn’t quite get into the sound emotionally. But as indicated: that might well be down to settling or running in. After having formed my initial impressions, I opted to leave the Elara power cable connected to the Audio GD M1 preamp for some slow-cooking, while I proceeded to finish other reviews, among others the Ganymede interlink. After having had the cable connected to the Audio GD M1 preamp in the main system for 2 weeks, the time had come to resume listening, and in order to avoid potentially detrimental effects from moving the cable, I left it connected and used the Audio GD preamp between the CH Precision C1 DAC and A1.5 amp for the next comparisons. 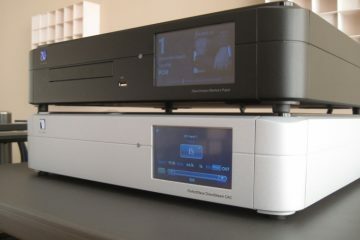 In this system, the interlink between DAC and power amp was the FTA Ganymede and the DAC connected to the preamp using the Cardas Clear. Of course, adding a preamp, any preamp, in fact, will have an effect and so did the Audio GD. But a nice upside is that this analog component is extremely quick to power up after a cable swap and, in any event, what matters here are only the relative differences between the Elara power cable and other power cables. Compared to my usual Belden 19364 with Bals schuko and Oyaide 004 IEC, the Elara seemed to have more or less the same character as two weeks ago in the other setup. Retained were its clarity and differentiation, as well as its immensely high resolution and although its delivery was still crystal-clear and highly precise, and the bass was still more slender than with the Belden, it sure was a very tight delivery but in this case no longer overly tight. Apparently, the running-in process did have an effect on this. The Belden was comparatively quite a bit more foggy but also more sonorous and a little darker. Given that the Belden cable is essentially neutral, even thought to be bright depending on the circumstances, this does seem to indicate that the Elara’s balance is somewhat tipped up. 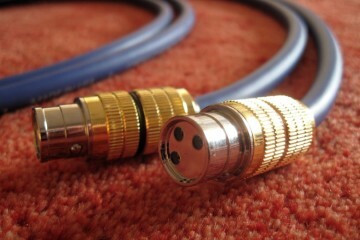 This was further confirmed when the preamp and Elara cable were removed, leaving the two CH components, connected with Belden cables. To further confirm my impressions of the Elara’s character, I also compared it to the Cardas Clear Beyond and the Furutech FP-TCS31 with FI28/FI38 connectors. 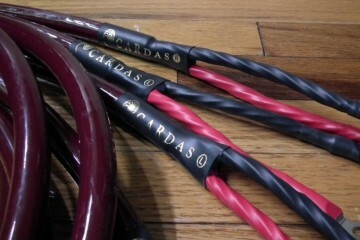 The Cardas Clear Beyond, to some extent, has a similar character as the Clear XLR cable. Like the interlink, it has a very good low-level resolution but simultaneously it is also somehow filtered and, on balance, smoother still, than the interlink. 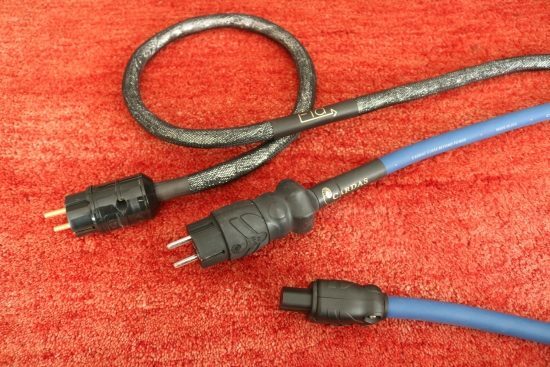 With these two power cables, we essentially have two opposing characters: one tight and crystal-clear, the other smooth and relaxed. Yet, the Furutech FP-TCS31 takes this differentiation even further by adding even more warmth and smoothness. So far, the Belden remained sonically in the middle but closer to the Elara than to the others. 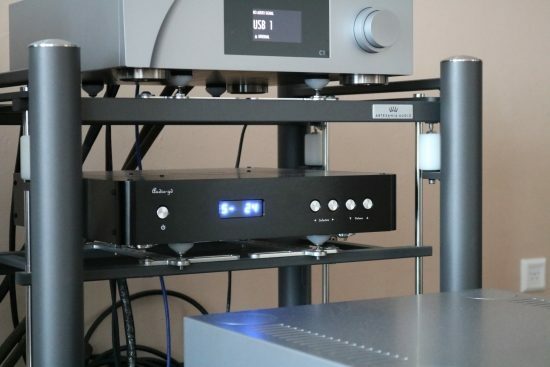 Importantly, the very neutral Belden may work well in my setup but it definitely does not have the low-level resolution and refinement that all of the dearer cables do offer and certainly not the amazing articulation of the Elara. 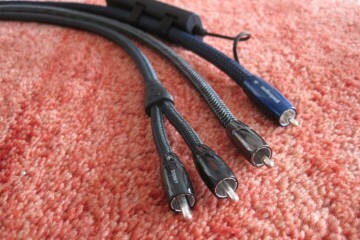 At this stage, I returned to the secondary setup, using the NuPrime ST10 amp for the power cable swapping. 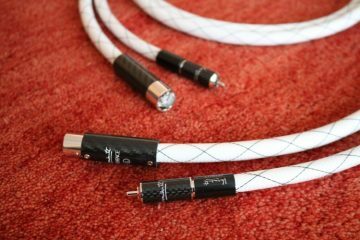 This second time around, the cable’s extreme tightness seemed to be reduced indeed and the bass, while still very clean and articulate, seemed to be slightly more filled-out. Unchanged, in any event, were the cable’s incredible resolution and crystal-clear presentation. Going back to the Belden confirmed that it was considerably less explicit and precise, a little rough and even somewhat glossed over in comparison but it also provided a more relaxed and free-flowing sound that I still find easier to get into. Now that the Elara’s overall characteristics were pretty much laid bare, for my final comparisons I wanted to narrow the playing field some more. To obtain the maximum in resolution, I removed the Audio GD preamp and connected the CH C1 DAC directly to the CH A1.5 amp, using the FTA Ganymede interlink. Alas, this amp uses a 20 amp connector, leaving only the C1 DAC to use for the power cable comparisons. With the C1, I could not detect much of a difference in treble behavior between the Belden and the Elara, both being equally refined and airy, so it is good to realize that the differences do pan out slightly differently, depending on the component that is being powered. 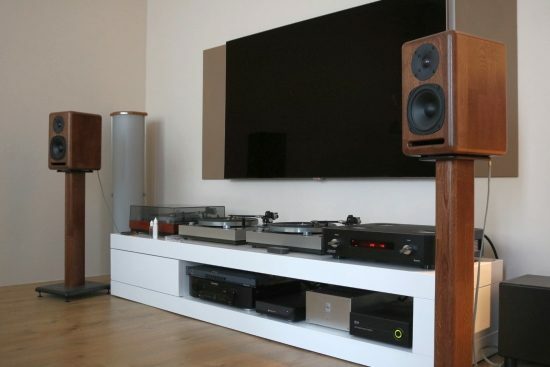 What remained evident, however, was that the Elara’s bass was tighter and better differentiated and especially the mid-bass and the lower midrange were considerably cleaner and more explicit. 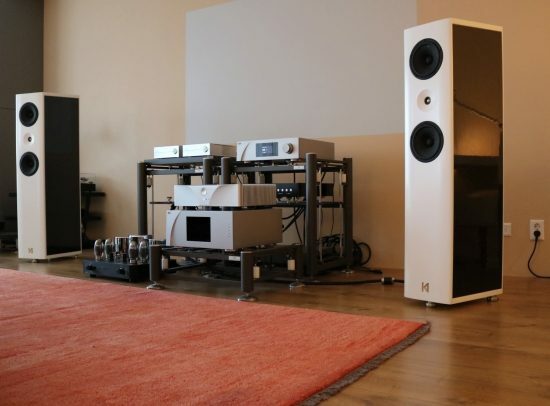 While the C1 is a voluptuous-sounding component and the Elara made for a better match than with the NuPrime, the overall presentation remained more one of precision than of free-flowing fluidity leading me to listen more technically rather than engaging emotionally. Throwing in the Fusion Audio Romance and NBS Dragon/Fly just for good measure, that feeling was further substantiated. The NBS has always been quite thin in harmonics and it cannot match the Elara’s rich texture and delicate finesse but it has an otherwise open presentation with a nice fluidity. 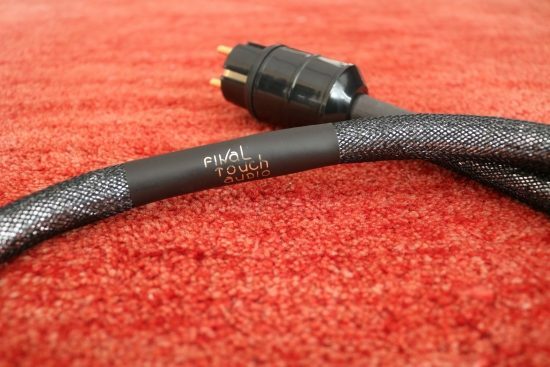 The Fusion Audio’s delivery, finally, was transparent, free-flowing, gentle and airy, in essence, more or less what I would expect from a Final Touch Audio power cable, deducting from what I have heard the Callisto and Ganymede cables do. 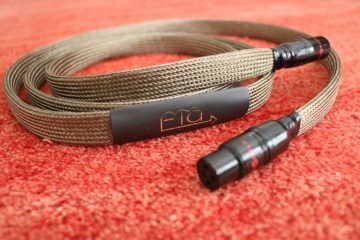 That said, none of the other cables got anywhere near the Elara in terms of bass precision and articulation, midrange texture, and overall dynamic behavior. 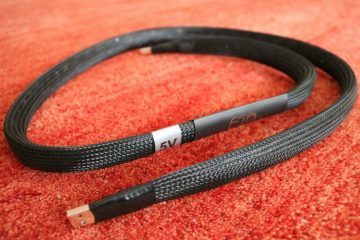 While the Elara power cable required a considerable amount of running-in to sound its best, its basic sound remained unchanged. Its character is pretty much the opposite of that of the Callisto USB and Ganymede interlink but just as unique, combining a super-explicit and very tightly controlled sound that is simultaneously highly refined and airy, as well as texturally rich and timbrally natural. While its delivery is just a little bit too crispy for my taste I can imagine many people being highly impressed with its abilities. It sure will spice up any system that is slightly on the dull side!